Not many people can guess correctly where I took this photograph. Most seem to think it’s South Asia somerhere. In fact I took it in Woking Surrey. This was the closest mosque to the office. 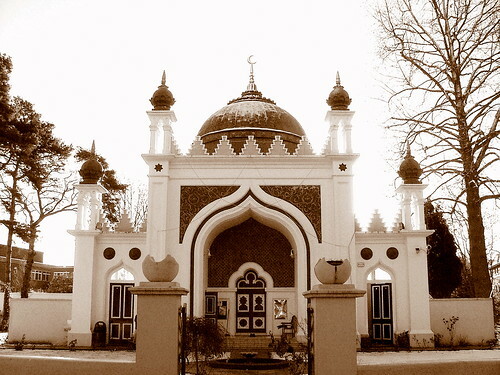 It also happens to be the Europe’s first purpose-built mosque – outside of Muslim Spain. Read its full history here.